revolutionary. - V-REX. Schnellsegeln in neuer Dimension. 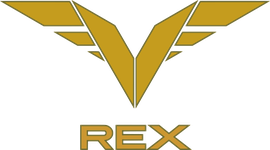 V_REX converts its own weight into positive sail pressure. Speeds of more than 60 knots make it the new king of speed. Designers, technical engineers and scientists from all over the world will make Peter Steinkogler’s V_REX the most dynamic innovation of the 21st century. Dive into a world of speed and fascination. Let us revolutionize the world of sailing together. Follow V_REX in international press and read what's being discussed in blogs!. V_REX. New Dimension of sailing.